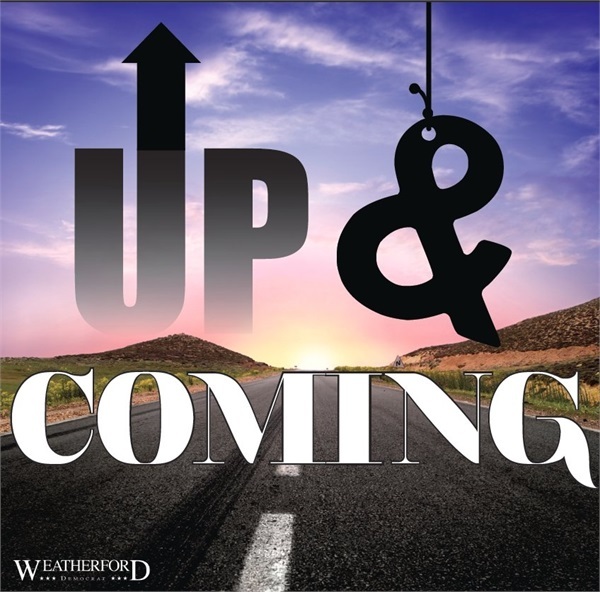 *Award based on 10 objective criteria associated with providing quality services to clients such as credentials, experience, and assets under management among other factors. Wealth managers do not pay a fee to be considered or placed on the final list of 2014 Five Star Wealth Managers. 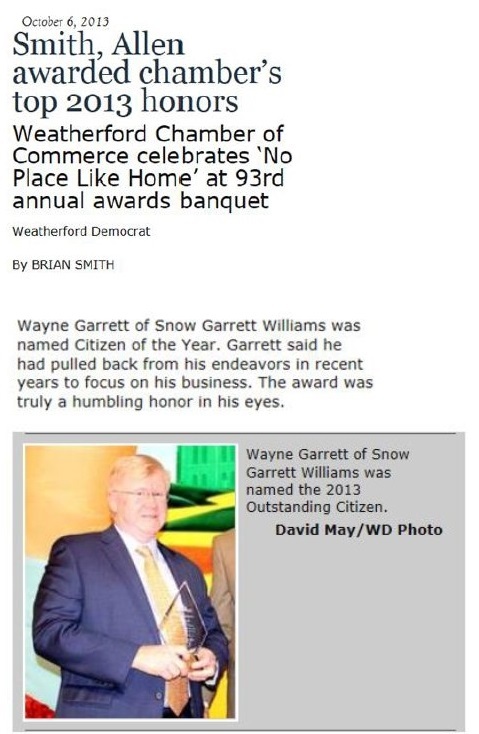 *This award is presented by the Weatherford Chamber of Commerce and qualifying individuals are recognized by outstanding leadership or service to the community of Weatherford, above and beyond the usual and customary performance of duties. Working Together to Make a Difference in Our Community! 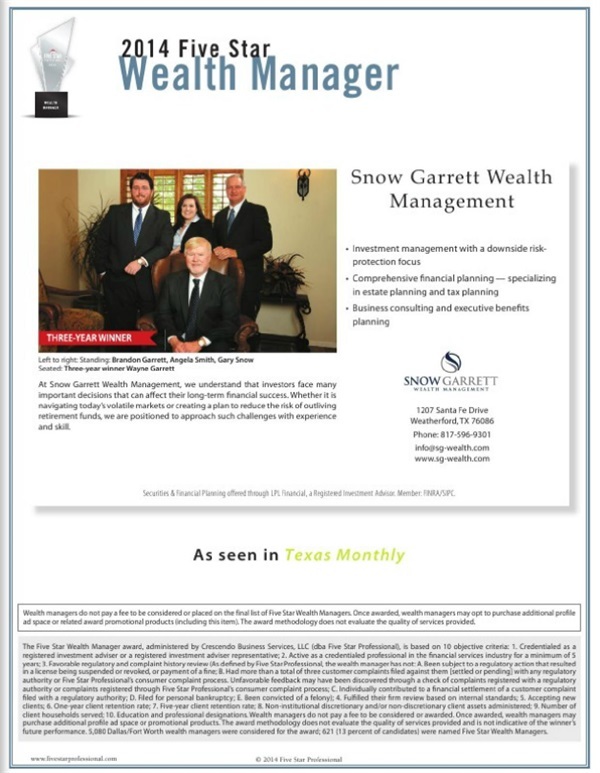 Every year, Snow Garrett Wealth Management co-hosts a Food Drive benefiting the Center of Hope - Parker County. 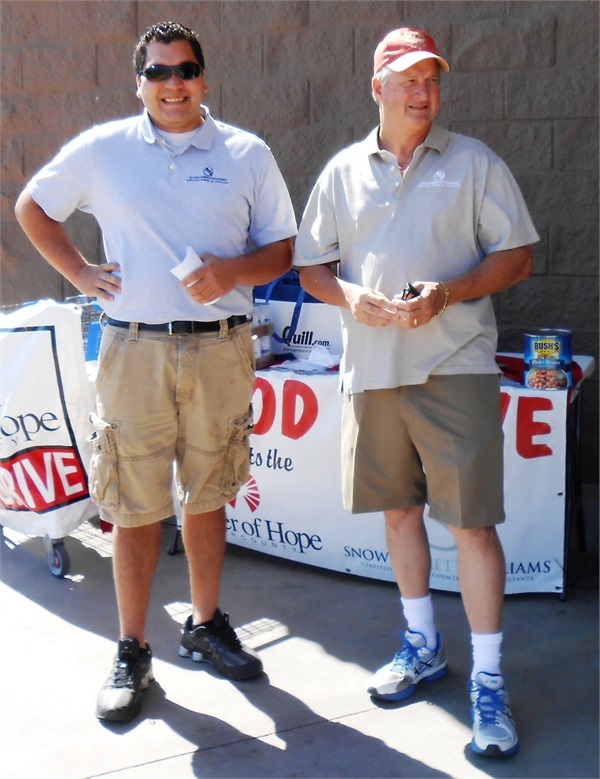 The drive is usually held in September and with all the donations, helps fill the pantries at the center. 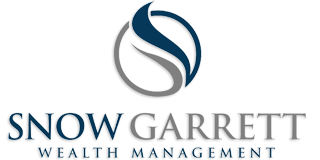 The employees of Snow Garrett Wealth Management are proud to be a part of such a wonderful and giving community! 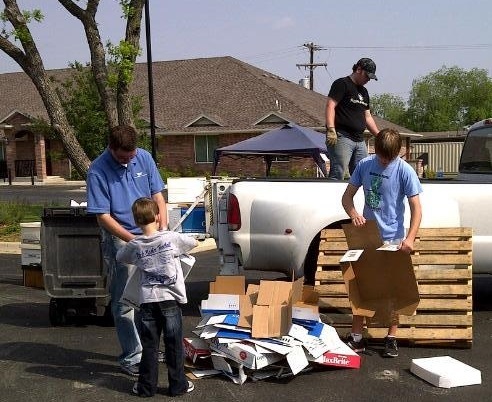 Snow Garrett Wealth Management co-hosts an annual Shred Day for clients and community members. The event is free and open to the public.